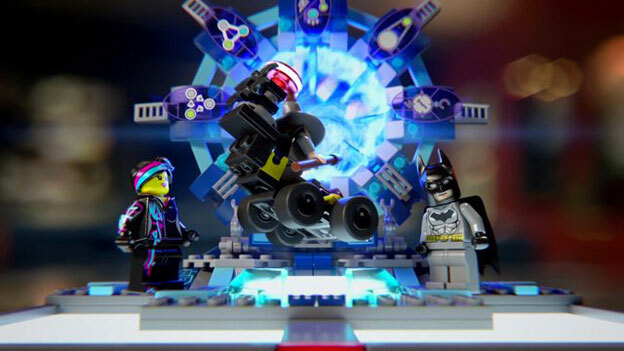 This year, I got a chance to try out Lego Dimensions at E3 2015. The tagline for this new game is that it's the world's “first true toys to life experience.” Why is this the first true toys to life experience? Well, unlike other toys to life games, this game actually has you playing with your toys. The Lego figures aren’t simply pieces that you use to unlock content that would otherwise be locked, they are game pieces that you have to manipulate to progress in the game. Let me explain. One of the first things we had to do in the game was have a fight against the Wicked Witch of the West and her flying monkeys. Don’t question it. Pretty much the whole game plays like the world’s greatest fanfiction. 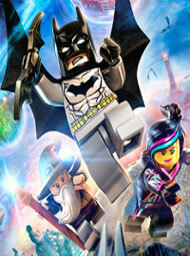 The whole concept of the game is an evil presence is trying to squash all the Lego universes into one, and so the only person who can save them is you - and Wyldstyle, Batman, and Gandalf of course. Anyway, you are fighting with the Wicked Witch of the West, and she uses a binding spell on you. Suddenly, your Lego characters cannot move. You notice that the Lego toy pad, the portal you put your Lego figures on to bring them into the game, is flashing red underneath the effected characters. So you pull your figures off the toy pad, thus shattering the spell that is binding them, and allowing you to place them back on the toy pad, fresh and uncursed. So much of Lego Dimensions hinges on you actually playing with your Lego figurines in order to make it through the game. As you progress, you will get new toy pad powers that will change the way you interact with them, and you can fit seven different figures on the toy pad (as opposed to Skylanders' and Disney Infinity’s 3 and Ninendo’s 1) so you will be using these abilities a lot. For example, there is one ability that turns your toy pad into an actual literal portal. You will open up three different portals on the stage, of three different colors. Placing a figure on that color area on the toy pad will make them appear through that portal, allowing them to reach hard to reach places. Another ability allows you to alter your size like you are Alice in Wonderland. Figures placed on one side of the toypad grow larger, while figures placed on the other side grow smaller. This, too, is used to solve puzzles in the game by either sneaking into small areas or using your giant strength to break down barriers. Yet another ability allows you to use your toy pad as a sort of dousing rod. Usually this is activated whenever there is a secret or hidden item in the vicinity. The toypad will glow red whenever you are getting far away and green when you are getting closer. Get close enough and it will turn white and you will have located your secret. Finally, there is also a “chromatic” ability, which also aids in solving puzzles. As you progress through the game, you will find certain doors and barriers with a locked color pattern on them. To get further in the game, you need to “paint” your toy pad certain colors. How do you do that? By making characters run into paint, of course. Get a character's feet wet with blue color, and whatever area on the real life toy pad they are on will turn blue. Do this until you have recreated the color pattern, and you have solved the puzzle. Vehicles are a big part of Lego Dimensions, and at times you will need to upgrade them in order to progress onward. For example, at one point you need to give the Batmobile a sonic gun in order to bust through a barrier. To do this, you go to an upgrade station and then you start playing with Lego! You are given step by step instructions to remove the Batmobile from its base, take it apart piece by piece, and put it back together in a way that gives it a sonic gun! Then, you put it back on the base, put the base back on the toypad, and your newly rebuilt Batmobile enters the world, rebuilt by your very hands. The game is actually pretty lenient with bases. Any figure can be removed from its base and played with like a normal Lego piece. The only thing you really need to have in order to play with your piece in game is the base. So if you lose your Lego figurine you can always simply get another one and use it as a stand-in. The same goes for vehicle pieces, except the game takes it one step further. Any base can stand in for any vehicle piece. You can actually rewrite a vehicle base’s data as you rebuild them and upgrade them in game, so you are almost never locked out of your vehicle content, even if you are particularly irresponsible with keeping track of your Lego pieces. 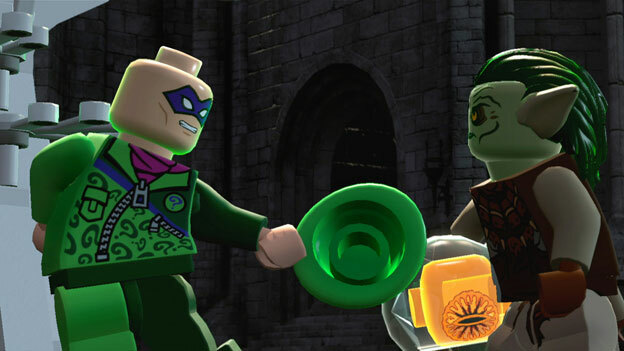 Lego Dimensions also handles content very interestingly. If you purchase a stage pack, you will get a Lego character and vehicle along with it. You can then use that character to access new levels by using their abilities. For example, Chell can use the portal gun to place blue and orange portals around a stage, just like she could in Portal. By doing this, Chell can reach areas in the Portal levels that other characters cannot. You can then use these areas to unlock the content in the Portal stage pack. You can also use specific character abilities to solve puzzles in interesting ways. For example, Chell’s portal gun can be used to totally bypass certain puzzles in the game. The only three characters you will need to beat the game, however, are Wyldstyle, Gandalf, and Batman, all of whom come in the starter pack. These are also the three characters that feature prominently in the story. Don’t think that all the Lego universes are locked behind what is essentially a paywall, however. The game, with the starter pack alone, features one world from every Lego property that has been included in the game. Each Lego world will look, sound, and act like you would expect that world to. For example, the world of Scooby-Doo is cell shaded to look like a cartoon, and the audio is purposefully recorded at a lower quality to make it sound like an old cartoon. I hear that in the Batman world, everything is going to be dark and gritty, and people will talk in gravely voices. 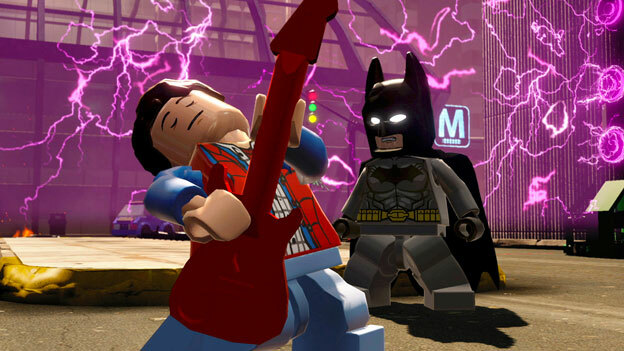 Lego Dimensions was some of the most fun I had at E3 this year. I can tell you from first-hand experience, this is not just another gimmick. The way the game got you playing with Lego figurines in order to progress brought back fuzzy nostalgic memories of times when I used to make my own Lego figures play with each other in imaginary fantasy worlds. The only difference here is that now you can see your Lord of the Rings and Batman crossover Lego story come to life on the TV. If any game is going to revolutionize the toys to life genre, it will be this one.